What is the cheapest way to get from A Coruña to Ferrol? 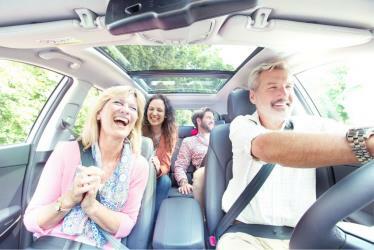 The cheapest way to get from A Coruña to Ferrol is to rideshare which costs 3€ - 5€ and takes 52m. What is the fastest way to get from A Coruña to Ferrol? The quickest way to get from A Coruña to Ferrol is to taxi which costs 65€ - 85€ and takes 36m. Is there a direct bus between A Coruña and Ferrol? Yes, there is a direct bus departing from A Coruña and arriving at Ferrol. Services depart once daily, and operate every day. The journey takes approximately 50m. 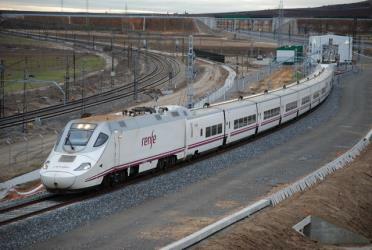 Is there a direct train between A Coruña and Ferrol? Yes, there is a direct train departing from A Coruna and arriving at Ferrol. Services depart every four hours, and operate every day. The journey takes approximately 1h 14m. How far is it from A Coruña to Ferrol? The distance between A Coruña and Ferrol is 19 km. The road distance is 54.5 km. How do I travel from A Coruña to Ferrol without a car? The best way to get from A Coruña to Ferrol without a car is to bus which takes 50m and costs 3€ - 22€. How long does it take to get from A Coruña to Ferrol? The bus from A Coruña to Ferrol takes 50m including transfers and departs once daily. Where do I catch the A Coruña to Ferrol bus from? A Coruña to Ferrol bus services, operated by Arriva Galicia, S.L., depart from A Coruña station. Where do I catch the A Coruña to Ferrol train from? 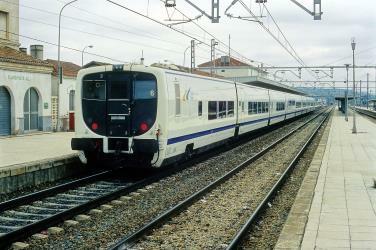 A Coruña to Ferrol train services, operated by Spanish Railways (RENFE), depart from A Coruna station. Train or bus from A Coruña to Ferrol? The best way to get from A Coruña to Ferrol is to bus which takes 50m and costs 3€ - 22€. Alternatively, you can train, which costs 7€ - 16€ and takes 1h 14m. 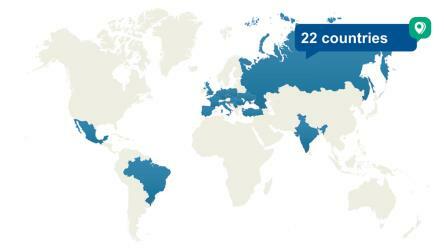 What companies run services between A Coruña, Spain and Ferrol, Spain? Arriva Galicia, S.L. operates a bus from A Coruña to Ferrol hourly. Tickets cost 3€ - 8€ and the journey takes 50m. 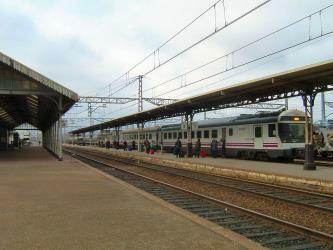 Alternatively, Spanish Railways (RENFE) operates a train from A Coruña to Ferrol every 4 hours. Tickets cost 7€ - 16€ and the journey takes 1h 14m. Where does the A Coruña to Ferrol bus arrive? A Coruña to Ferrol bus services, operated by Arriva Galicia, S.L., arrive at Ferrol station. Where does the A Coruña to Ferrol train arrive? 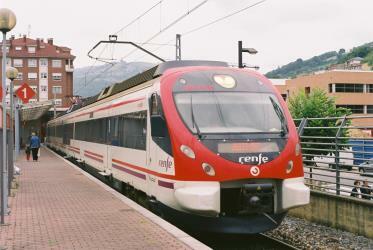 A Coruña to Ferrol train services, operated by Spanish Railways (RENFE), arrive at Ferrol station. Can I drive from A Coruña to Ferrol? Yes, the driving distance between A Coruña to Ferrol is 54 km. It takes approximately 36m to drive from A Coruña to Ferrol. How do I get a train ticket from A Coruña to Ferrol? 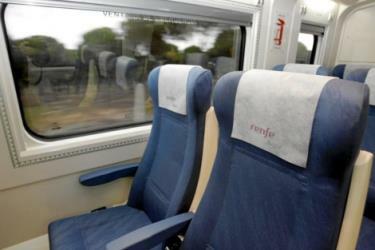 Book your A Coruña to Ferrol train tickets online with Rome2rio. Where can I stay near Ferrol? There are 316+ hotels available in Ferrol. Prices start at 35€ per night. Can I share a ride from A Coruña to Ferrol? 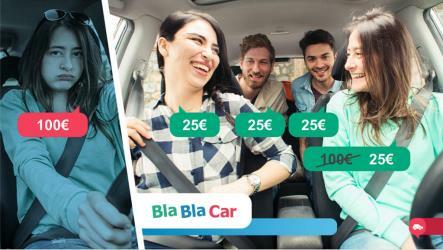 Check out Blablacar's carpooling service for rideshare options between A Coruña and Ferrol. A great option if you don't have a driver's licence or want to avoid public transport. The Tower of Hercules (Galician and Spanish: Torre de Hércules) is an ancient Roman lighthouse on a peninsula about 2.4 km from the centre of A Coruña, Galicia, in north-western Spain. Until the 20th century, the tower itself was known as the "Farum Brigantium". The Latin word farum is derived from the Greek pharos for the Lighthouse of Alexandria. The structure is 55 m tall and overlooks the North Atlantic coast of Spain. The structure, built in the 2nd century and renovated in 1791, is the oldest Roman lighthouse in use today. Pontedeume is a municipality in the province of A Coruña in the autonomous community of Galicia in northwestern Spain. Aquarium Finisterrae (Aquarium of the end of the World) is an aquarium located in A Coruña, Galicia, Spain. It is an interactive centre of the sciences of marine biology, oceanography and the sea in general. It tries to promote learning about the ocean and to teach people to be more caring toward marine life. The Fragas do Eume is a natural park situated in north-west Spain. Fraga is a Galician word for "natural woodland", (old-growth forest) and the park is an example of a temperate rainforest in which oak (Quercus robur and Quercus pyrenaica) is the climax vegetation. The protected area extends along the valley of the river Eume within the Ferrolterra municipalities of Pontedeume, Cabanas, A Capela, Monfero, Pontedeume, and As Pontes de García Rodríguez. Some 500 people reside within the park. The monastery of Saint John of Caaveiro also lies within the park. Rome2rio makes travelling from A Coruña to Ferrol easy. Rome2rio is a door-to-door travel information and booking engine, helping you get to and from any location in the world. Find all the transport options for your trip from A Coruña to Ferrol right here. Rome2rio displays up to date schedules, route maps, journey times and estimated fares from relevant transport operators, ensuring you can make an informed decision about which option will suit you best. Rome2rio also offers online bookings for selected operators, making reservations easy and straightforward.